Vince Lombardi's home during his nine years as coach of the Green Bay Packers is located directly east of here on Sunset Circle. Other family members included wife Marie, son Vince Jr. and daughter Susan. Lombardi coached the Packers from 1959 to 1967, winning five National Football League championships. He also was the Packers' general manager in 1968. 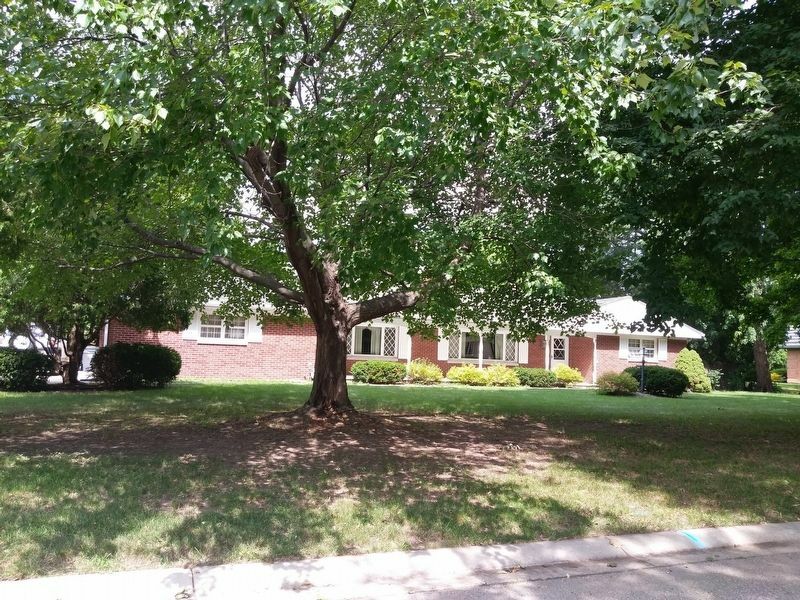 The family moved into the red brick ranch home, located in what was then the Town of Allouez, in the fall of 1959, Lombardi's first season as coach. They stayed until he accepted the coaching job in Washington in February 1969. The house included four bedrooms, a living room with a fireplace, a dining room and a family room. Downstairs was a rec room replete with bar, bar stools and a refrigerator, where the Lombardi's entertained after Sunday games in Green Bay. By all accounts, Vince and Marie were terrific hosts. They usually limited their guest list to close friends, and the post-game parties were almost always victory celebrations. It was in the rec room where Lombardi took a phone call from President John F. Kennedy after winning the 1961 NFL championship, and it was there where Lombardi was frequently interrupted with congratulatory calls following the Ice Bowl in 1967.
was frequently interrupted with congratulatory calls following the Ice Bowl in 1967. Location. 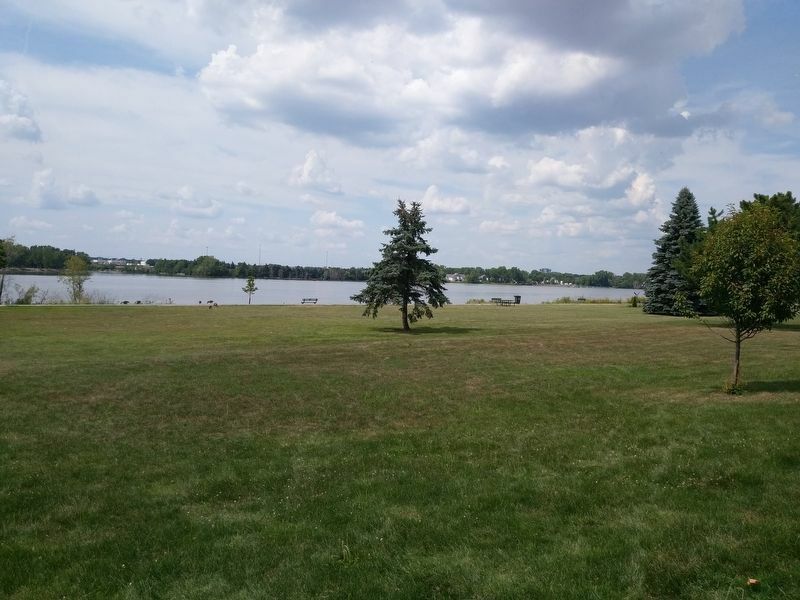 44° 27.944′ N, 88° 3.12′ W. Marker is in Allouez, Wisconsin, in Brown County. Touch for map. 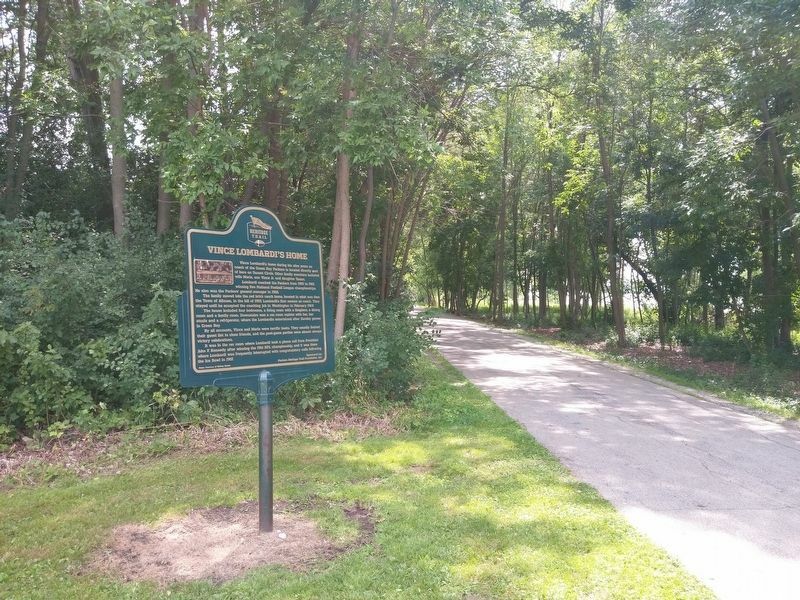 The marker is along the Fox River Trail on the south side of the park. Marker is at or near this postal address: Sunset Park, 642 Sunset Circle, Green Bay WI 54301, United States of America. Touch for directions. Other nearby markers. At least 8 other markers are within 2 miles of this marker, measured as the crow flies. Bernard Henry Pennings (approx. 0.6 miles away); The Catholic Bark Chapel (approx. 0.9 miles away); Menomineeville, Seat of Justice (approx. 0.9 miles away); White Pillars (approx. one mile away); Union Hotel (approx. 1.1 miles away); Rapides des Peres (approx. 1.2 miles away); Heritage Hill State Park (approx. 1.2 miles away); Brown County Court House 1838 to 1854 (approx. 1.2 miles away). Touch for a list and map of all markers in Allouez. More. 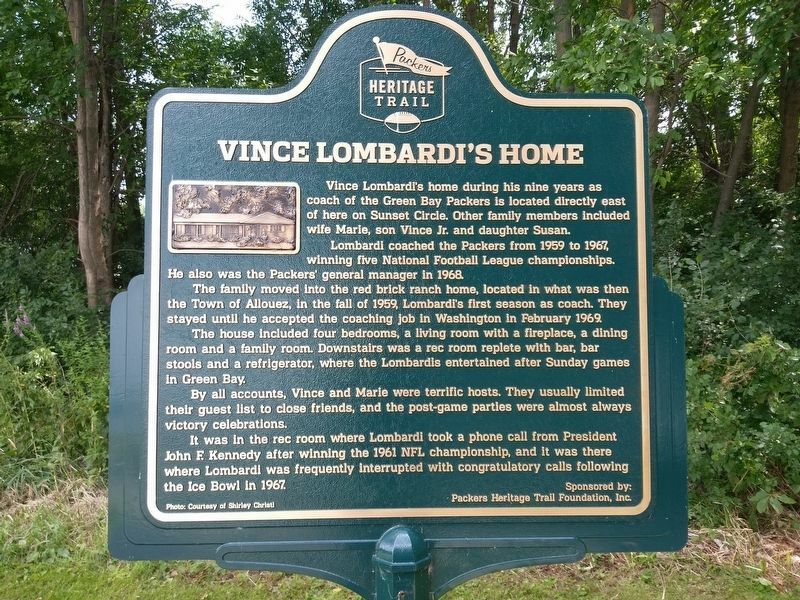 Search the internet for Vince Lombardi's Home. Credits. This page was last revised on March 29, 2019. This page originally submitted on March 28, 2019, by Devon Polzar of Port Washington, Wisconsin. This page has been viewed 38 times since then. Photos: 1, 2, 3, 4. submitted on March 28, 2019, by Devon Polzar of Port Washington, Wisconsin. • Andrew Ruppenstein was the editor who published this page.